Part of Glenwood's downtown holiday light display. 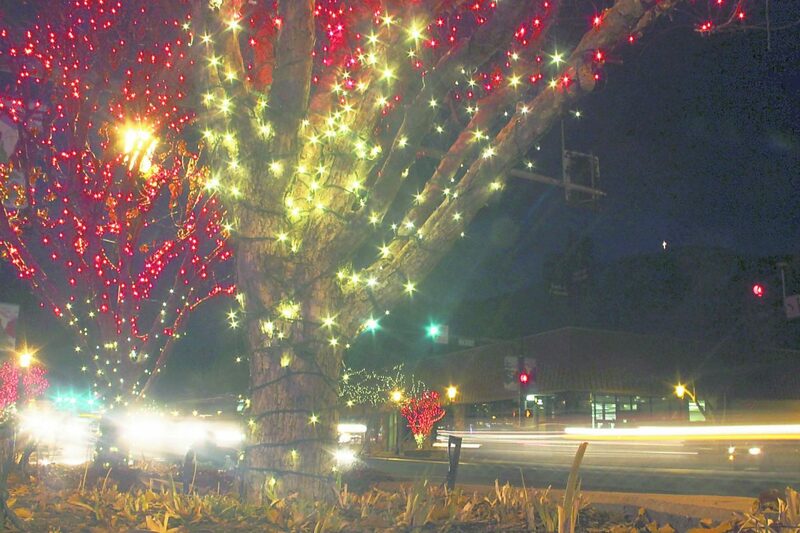 Glenwood Springs is dressed for the holidays with 30,000 lights. 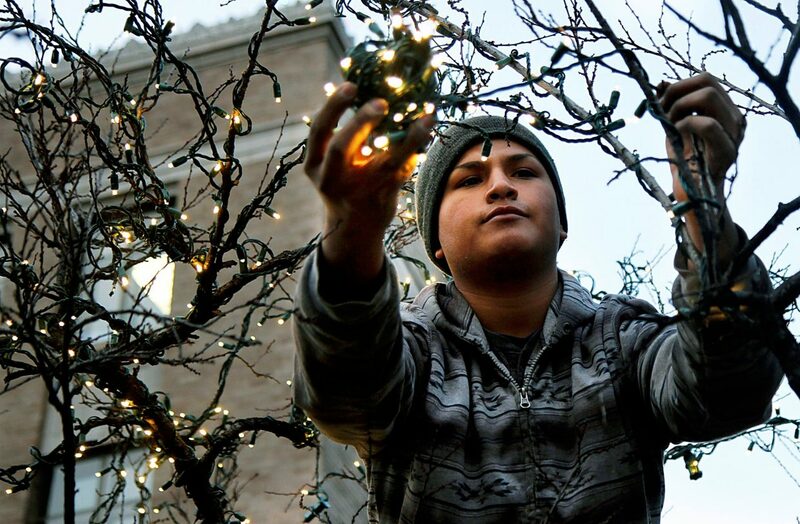 Vico Celestino of Jim Waters Property Maintenance and Christmas Decor stands on a ladder Thursday evening as he decorates a tree in front of the Garfield County Building. Just one of 30,000 Glenwood Springs holiday lights. The lights at the Hotel Colorado and Glenwood Caverns Adventure Park may be the most eye-catching around. Several other displays, however, twinkled to life around the area last week, and more are set to debut this weekend. 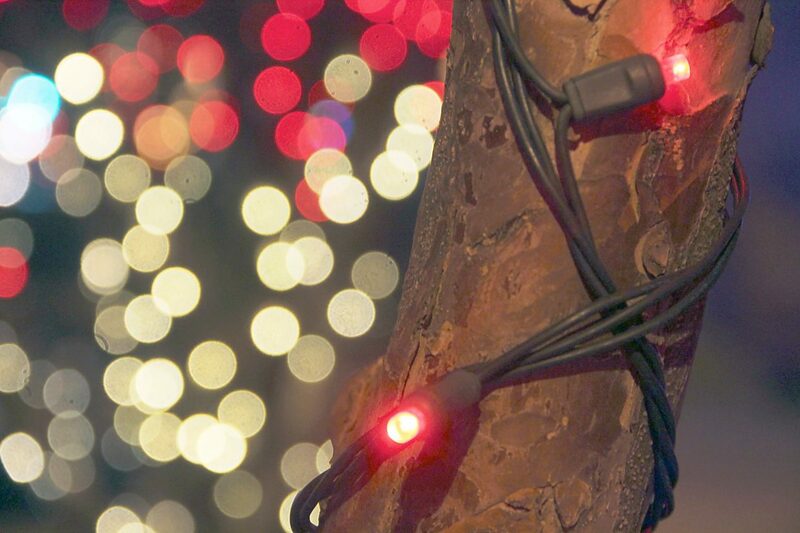 “Light up Carbondale” is today as part of the town’s monthly First Friday celebration. A group of fifth-grade carolers will set the tone for the initial lighting of the large tree at Main Street and Weant around 5:15 p.m., then a pedestrian parade will accompany Santa down to Fourth and Main for the full illumination of all 30,000 lights on Main Street, followed by cookies, hot chocolate, marshmallow roasting around a bonfire and caroling. Kids 5 and younger can visit Santa at the Launchpad, 76 S. Fourth St., from 3:30 to 5 p.m., and older kids can catch him after the lighting from 6:30 to 8. The Launchpad will also feature performances by Sol Theater’s cast of “Annie” and the Crystal River Ballet Nutcracker dancers. Basalt also puts its 10,000 lights on display tonight as part of a celebration at Lions Park. The official lighting is at 5:15, but caroling, cookies, hot cocoa and cider, chili, a bonfire, carriage rides and ornament decorating run from 4 to 6 p.m. Pose for a photo with Mr. and Mrs. Claus or avail yourself of live music from Cathy Markle Quartet, Dwight Ferrin and the Basalt High School choir. The event is free, with attendees encouraged to bring a new, unwrapped toy for the Shining Stars Toy Drive benefiting children with cancer or other life-threatening illnesses. Most of New Castle’s 8,000 lights have been lit at night since before Thanksgiving. 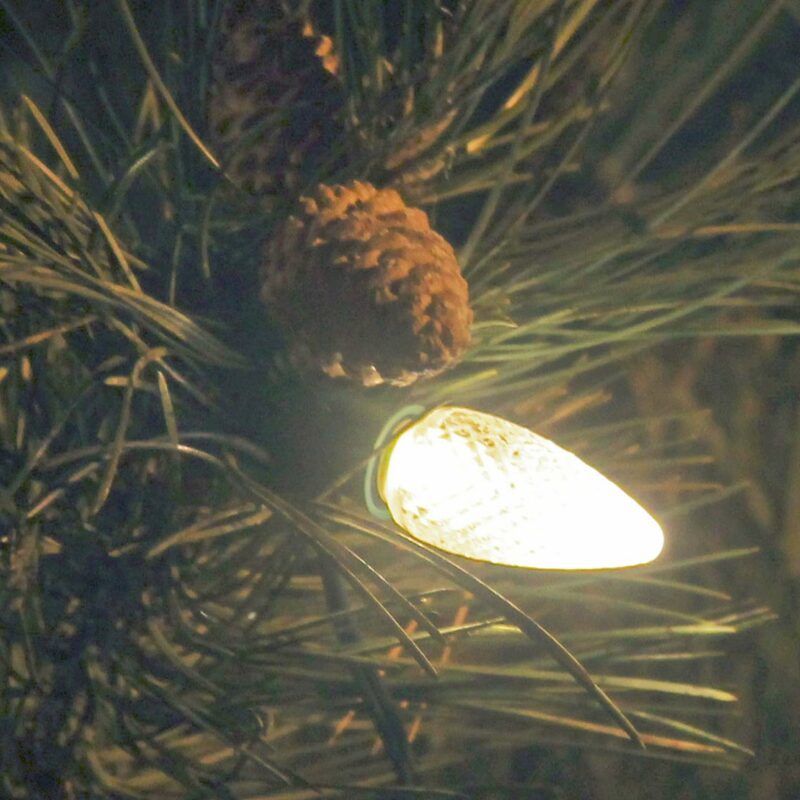 The official lighting ceremony, complete with the illumination of the big spruce at Burning Mountain Park, takes place Saturday as part of the town’s 17th annual Holiday Chili Cook-Off. First, there’s the dedication of the Flattops Pedestrian Bridge and Talbott Trail at 3 p.m., then the cook-off runs from 4 to 7 p.m. Admission is free, but tasting the chili costs $5. Rifle also hosts a tree-lighting ceremony 5:30 p.m. Saturday in Centennial Park as part of the chamber’s “Hometown Holiday” celebration. The town also has a Window Display Contest, Scavenger Hunt and Gift Wrapping workshop on Friday, and a craft fair, bonfire and performance by Symphony in the Valley on Saturday. Santa Claus will make appearances at the new Ute Event Center from 5-7 p.m. Friday and 3-5 p.m. Saturday. Silt has lights downtown for the first time this year, twining trees installed as part of a federal mineral lease-funded downtown improvement project between Ninth and Third. Although no formal ceremony accompanied the lighting, the town has already had some positive feedback. In addition the impressive private displays, Glenwood boasts around 30,000 lights on Grand Avenue and another 1,000 around the courthouse, jail and sheriff’s office. The town hires Jim Waters and Waters Landscape Maintenance to do the job. Waters and his team do holiday lighting across the Western Slope, sparing businesses and residences the time and danger. These days, almost every municipality has changed over to LEDs, or are at least replacing broken strands with the new, efficient, cooler bulbs.